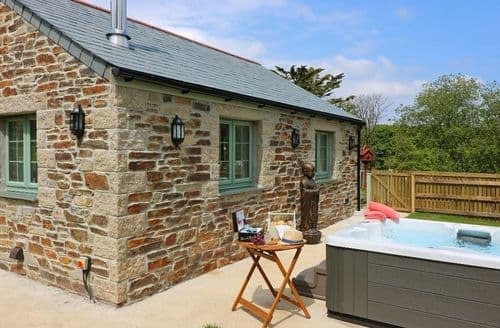 What our customers are saying about our Holiday Cottages In Kenwyn To Rent. "S82500 cottage is the perfect holiday place to stay...the cottage is well equipped throughout...it is central to many beautiful beaches and Truro along the coast line..st Ives..st Agnes...perranport Falmouth etc...the cottage was very clean and comfy just like home from home..Maureen couldn't do enough for us she made us so welcome and Monty our French bulldog loved the space in the garden which is very secure and so private..the luxury of the warm hot tub was great in the evening to relax and unwind after walking on the beaches and shop's...the grounds are very secure with CCTV and everyone on the site is given a remote controlled key for the entrance gates its safe and sound in every way...we loved our holiday so much and definitely would return..highly recommended to friends and family..Maureen who owns the cottages thought of everything possible to make our stay perfect..Amanda from Aston Sheffield.."
"Every effort has been made by Maureen to ensure it is a true home-from-home experience. Extremely comfortable and homely. Lovely bed; great sleeps! 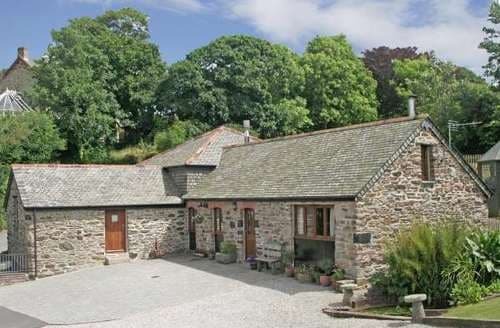 It is in quiet and peaceful location with easy access to all areas of Cornwall. There are two new properties being built on adjacent land within this complex. We were not warned on the Sykes website about this. We went for peace and quiet pre my wife's hip operation (limited mobility) so were using the facilities during the day. The noise was noticeable. Once this was brought to the attention of the owners the work was halted. They couldn't do enough to ensure we had the break we expected. 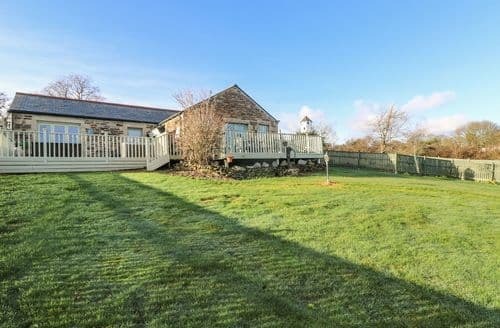 Very dog friendly with 3 fields available as part of the complex and coastal walks close by. Will definitely return for any future breaks in Cornwall. Maureen deserves the highest praise for a little Cornish gem. Highly recommended." "..the cottage is well equipped throughout...it is central to many beautiful beaches and Truro along the coast line..st Ives..st Agnes...perranport Falmouth etc...the cottage was very clean and comfy just like home from home..Maureen couldn't do enough for us she made us so welcome and Monty our French bulldog loved the space in the garden which is very secure and so private..the luxury of the warm hot tub was great in the evening to relax and unwind after walking on the beaches and shop's...the grounds are very secure with CCTV and everyone on the site is given a remote controlled key for the entrance gates its safe and sound in every way...we loved our holiday so much and definitely would return..highly recommended to friends and family..Maureen who owns the cottages thought of everything possible to make our stay perfect..Amanda from Aston Sheffield.."
"A return visit to Nantrisack cottages for our second time. Everything was as we remembered and provided the base for a perfect relaxing holiday. S82500 is modern and pet friendly, with it's own large garden, providing plenty of space for our dog to run around. 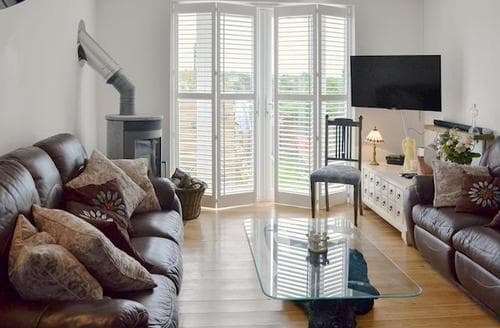 The cottage is very well equipped, very comfortably furnished and we didn't lack for anything. 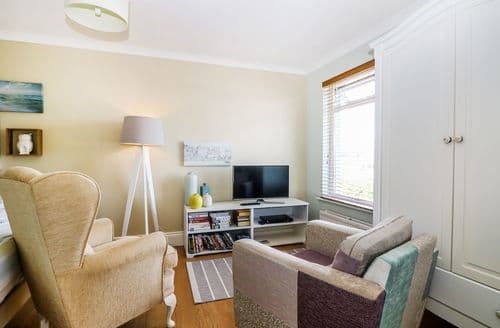 It has all the homely touches that make it easy to settle into. 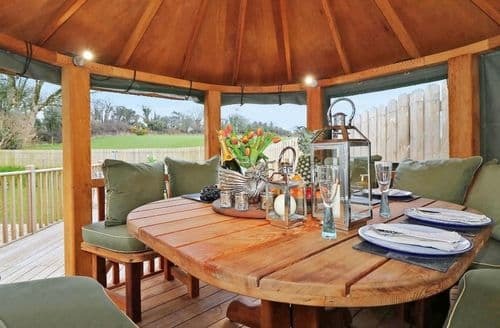 The gated location is secure, and sufficiently off the main roads to be very quiet while still being close to either coast, for dog friendly beaches, Truro, Newquay or a for trip to Lands End. The secluded hot tub was a real plus, especially after a long day walking. Finally Maureen and John are very friendly and excellent hosts. Highly recommended, so much so we have booked for next year!" "“Super stay @ S82333 (Truro)” “We stayed for the Christmas week @ the S82333 owned by Maureen & John. Check-inn was great Maureen showed and explained everything about the grounds and cottage. Really everything is available in the cottage an oven, dishwasher, washingmachine etc.. The owners had made it very special by decorated the cottage in the Christmas spirit SUPER! They even provided a stuffed turkey and lots of extras for our two dogs. We recieved gifts under the christmastree. Our stay was really, really great and relaxed. The grounds are great for the dogs. Truro is closeby and there is a great supercenter. 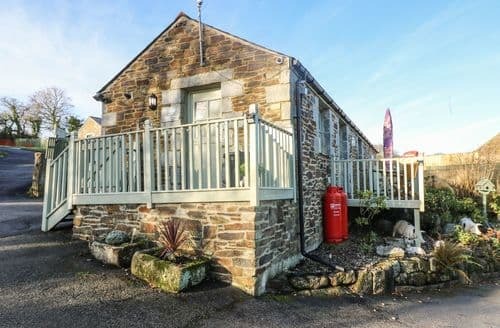 The cottage is located very Central in Cornwall. Again everything was SUPERgreat and very DogFriendly . Maureen & John thanks for the lovely staying @ your’re cottage!”"